Camille Intson is an emerging award-winning multidisciplinary artist working in theatre, performance art, multimedia, and folk music across Southern Ontario. 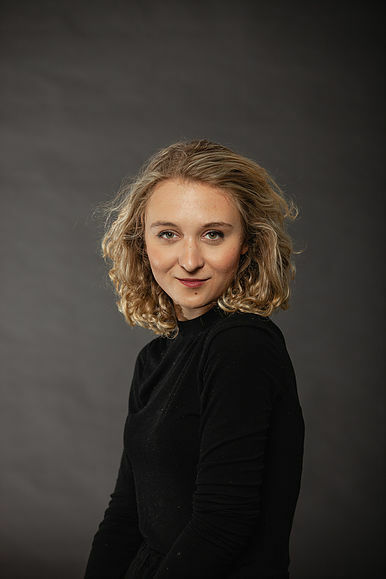 At twenty-one years old, she is a published poet, essayist, and short fiction writer, and her work as a playwright has been developed and produced at both amateur and professional theatres and festivals across Canada. She was most recently the winner of the 2017 NNPF National Playwriting Competition for Road, Theatre Ontario's 2018 Summer Theatre Intensive Youth Scholarship Recipient, and a participant in the 2018 Toronto Fringe Festival's Theatre Entrepreneurs Network & Training Program. Her debut folk album, under the pseudonym Camie, will be released in early 2019. Camille is also a Co-Founding Director of ArtLaunch Theatre Company, based out of Winnipeg, where for the last three years she has created multimedia-infused plays and performance pieces that challenge the human subject and its self-concepts in the digital age. She is a current Studio Artist in Residence at the TAP Centre for Creativity in London, Ontario, where she is working towards a commissioned digital performance exhibition in March of 2019, and is working to promote and foster creativity in the London art scene as the 2018-19 Student Writer-in-Residence at Western University. Research wise, Camille is interested primarily in the creative and academic marriage of performance theory with posthumanism. She is specifically drawn to the idealzed posthuman fantasy of digital or non-corporeal information or consciousness and the complete annihilation, exclusion, or erasure of the human body from drama and performance experiments. She aspires to attend graduate school in the near future for performance practice as research.